The ED Phenomenon No One saw Coming: Really? 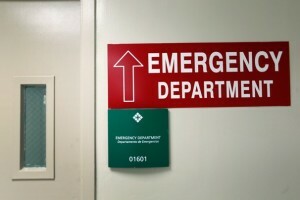 So the statistics since the ACA start-up tell us that Emergency Department visits are up. What?? Wasn’t that kinda the point; reduce ED visits in favor of office visits with Family Practice Providers as the reality of insurance encourages better healthcare behavior? Well. Yeah, it was. Only it just didn’t work that way? Why not? 3 reasons ED visits went up and every one of them were well known, but no one connected the dots. Yes, more people have insurance. And some that have it had not seen a provider in some time but knew they needed to. Now they have insurance and the hunt for a provider begins only to discover the wait times to get into a provider or even find a provider taking new patients has become problematic. But now patients have insurance. They can go to the ED and flash their new cards! Problem number 1: a shortage of Primary Care Providers. Didn’t we know this? Yep, we did! People who fell through the cracks of making too much to be MCD eligible but not enough to be able to afford insurance got a break with the ACA. Thousands more added to Medicaid rolls. So if there is a shortage of Primary Care providers for people who have insurance, guess how many of those limit the number of MCD patients? And so off to the ED they go, maybe getting a dime on the dollar is an improvement for EDs, but the patient load continues to increase as do wait times, cost and over-utilization of ED. Problem number 2 – an increased MCD population. Another known issue. The largest population of patients is of course the baby boomers. Thousands eligible every month and the largest population of MCR aged persons in the next 10 years. Not only the largest population of aged persons, but they are living longer and using more services. They are also the largest population for sudden onset illnesses that require ED visits. How long have we been hearing about the baby bloomer boom? Years and years. Problem number 3 – increased number of MCR patients. ED visits will not be reduced anytime soon. More providers, including non-MD providers, play an important role in reducing the number. Investment in family practice providers both in medical school incentives and in payment for services must be planned and implemented to be able to make an impact on the number of providers. From the age of the all-purpose doctor to today’s era of specialist many years have driven that specialist trend. To reverse it, many years of driving family practice must now happen.